Interconnect requirements for the 22nm technology node and beyond, driven by shrinking FEOL geometry, push the limits of unit process tools for BEOL as well as FEOL. 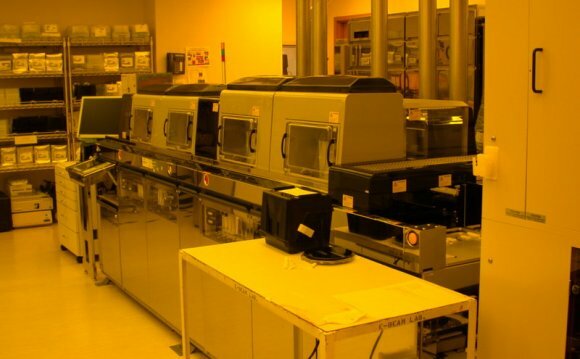 BEOL tools for WLCSP (Wafer level chip scale packaging) take advantage of many lithographic techniques utilized in the manufacture of the chip in the Front End of Line (FEOL). The substrate is automatically withdrawn from a cassette which may be in a SMIF pod. Alternatively for 300mm wafers a FOUP opener may be employed. Spinning – The rotational velocity of the substrate is increased to the speed at which the desired photoresist thickness is obtained. This speed will be highly dependent upon the resist viscosity. The acceleration to achieve the desired velocity will be on the order of 4, 000 to 8, 000 rpm per second. Precise control of both the acceleration and the velocity will determine the uniformity of the film thickness within a given substrate, from substrate to substrate and lot to lot.